I was born to write. It’s my foundational gift from GOD. The desire has always been there since I was a child and learned to read. I printed out little stories before I could even write cursive. The Holy Spirit via my imagination via life in general taking in everything I see, hear, learn or experience. Enjoyment of an engaging and thought provoking story. Knowledge or reaffirmation of GOD’s roll in the lives of the African slaves and how it does not differ all that much in our lives today. GOD is GOD yesterday, today and tomorrow. His love, grace and mercy is unchanging. Also I hope the readers have a slightly clearer view of slavery; one from a more physiological POV. I try to put all sides of an issue out there and let the reader ask themselves which POV is most like there own and why. Lastly I want people to know Nat Turner was not some hateful blood thirsty maniac. He actually believed he was divinely called to do what he did. What us modern people will ask is, could it be? Believers and non believers will wrestle with the question if GOD would send a man to murder like that even if for a just cause. Conclusions will vary but it’s a question worth pondering. I give no answers just stir up questions. Racism among the so called people of GOD, interracial dating and marriage or the complexion color conflict within the African American culture. There are many more but that’s a few. Get to my quiet place, be rested and let the spirit begin. After I start a novel the characters and storyline take on a life of their own. If I have to do research I have done some of that that before I start. I might have the protagonist and one or two other characters already in mind but most of them manifest as the story progresses. I have a vague idea of what I want to write in the beginning but it comes alive only after I start writing. 1. I have two passions, Jesus and writing. 2. I write Christian fiction that may have predominantly African American characters but I DO NO write solely for black Christian readers. I write for all people who like to read. I write for black, white, Indian, Asian or Mexican etc. I write for men and women. I write for the twenty two years old or the ninety two years old. I write for the saved and the unsaved. I hope my novels have a universal appeal. Alex Haley because I met him after he wrote the book ROOTS but before it was a movie. He was an excellent speaker and kind acting gentleman. I would love to talk to him about his literary journey to writing ROOTS. Writing novels was and still is. I have two other novels releasing this year by Lift Every Voice Books, SON of a PREACHERMAN will be released June 1st and GREENWOOD and ARCHER will release October 1st. marlenebanks.com for my website and the latest about my novels and any recent activities. Set in the 1800s, Ruth’s Redemption, depicts slave life in the south. Bo, the main character who was educated while a slave is a freedman who now owns a farm and buys slaves for the purpose of giving them their freedom. Bo is also a widower whose life is destined to changed when he meets the stubborn, proud and hard-hearted 20 year old slave girl, Ruth. Ruth has known nothing but harshness and brutality since being separated from her mother at age thirteen. Purchased and sold primarily for breeding and the enlargement of her master’s slave stock, Ruth struggles to understand the way of her new master. Bo is unlike any master she’s known and what she experiences in his care will leave her forever changed. 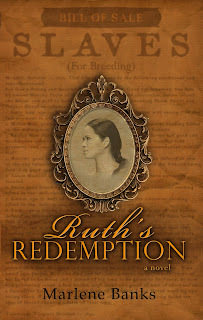 A gripping pre-Civil War slave era novel, Ruth’s Redemption is a story of forgiveness, acceptance and redemption. Set against the backdrop of the Nat Turner Rebellion in Tidewater, Virginia, this novel shines the light of God’s unconditional love in the darkness of the evils of hatred and acts of inhumanity. 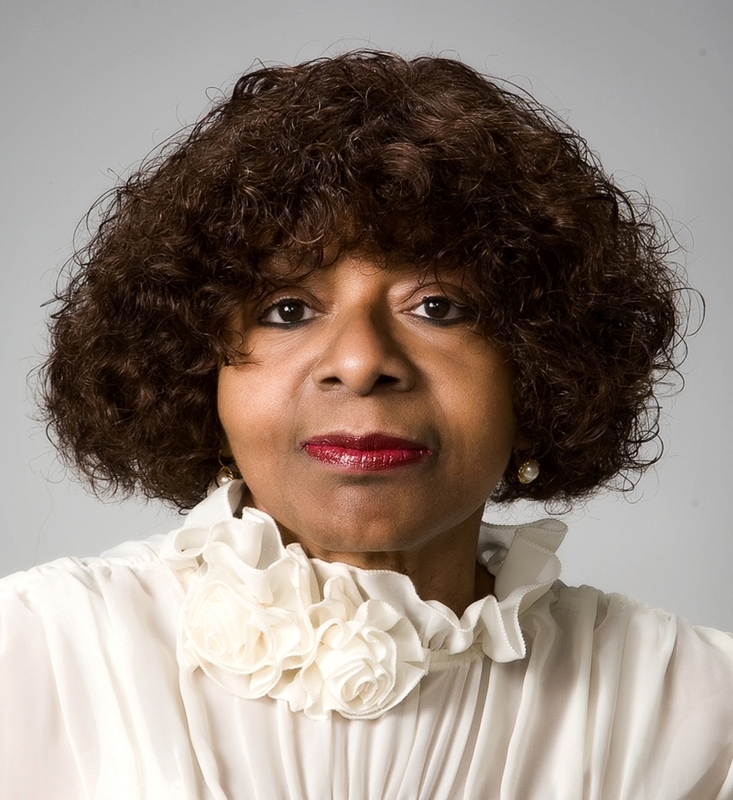 Marlene Banks is a Philadelphia, PA native. She attended Westminster College in New Wilmington, PA and has an Associate’s Degree in Theology from the Rhema Bible Institute in Keysville, VA. She is the director of ministry at Lifeline Mission of the Gospel. Through her writing ministry, Marlene’s desire is to promote the gospel and serve the needs of her community.